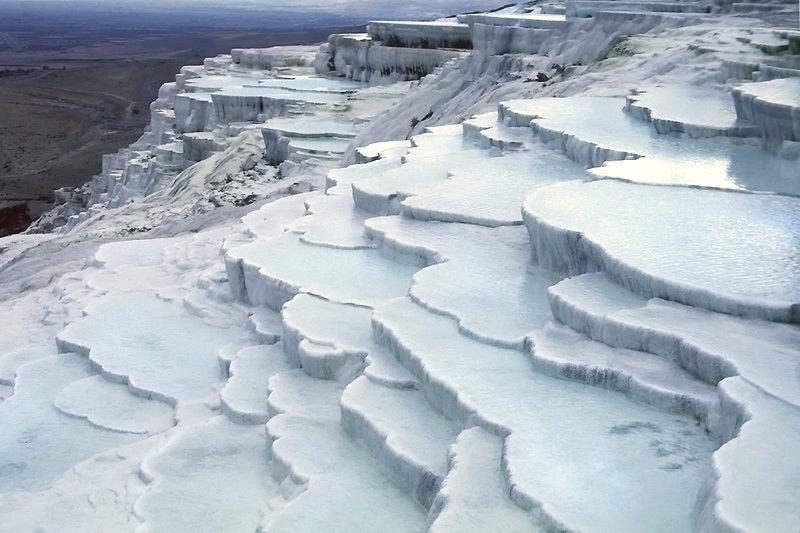 Pamukkale, "Cotton Castle." LImestone-laden thermal springs flowing over these terraces deposit calcium carbonate that over time hardens into travertine. Located near the ancient city of Hierapolis, Turkey.